Ok, if these were the worst things I’ve ever done in my life, I’d say that I’ve lived a life of singular virtue. But alas, there are many more sins which we shan’t discuss here because the past is the past and all that happened before the internet so ahem. ANYHOO. As some of you know, I have been doing some empirical research on Little Free Libraries. One of the things I’m doing is dropping in to photograph them to compare what we see on all the instagram sites with how the libraries just look when we encounter them in the built environment. (The idea being, hypothesis-wise, that stewards primp up their LFLs before taking pictures and posting on social media). So the idea is that I go out with my bunny-boo (Andy) and I take pictures, leave a postcard in the library asking for an interview, and then I am supposed to take a book (which I often do: apparently, 1970s paperbacks with square-jawed dudes on the cover are my Kryptonite)….and leave a book. This last part I am not so good at. 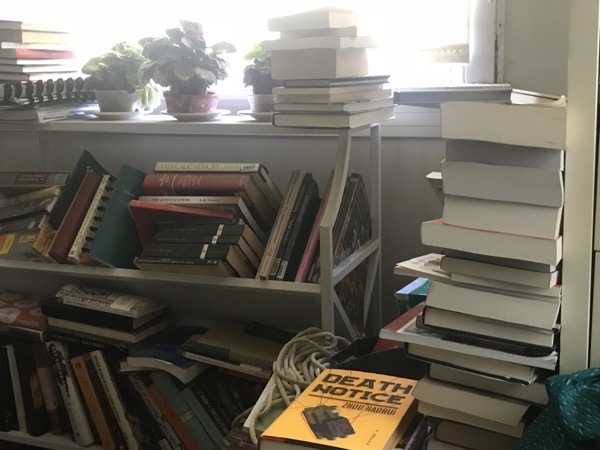 I do have a box of books in the car with books I’ve told myself I am going to discard. 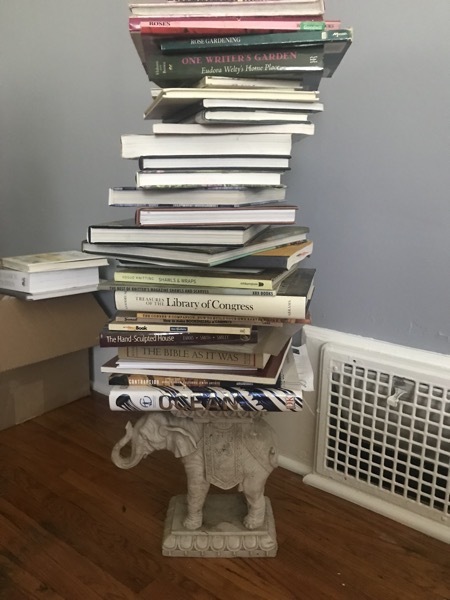 One of the reasons why my bunny-boo agreed to do this project, and to help me build my own at home, was that it was going to help me let go of books and have fewer piles of books all over the place. The theory was that I would feel better passing along a book that I loved knowing that it was going out to other readers. Instead of that, when I read a book I love, I go out and purchase a new copy of the book to put in the LFLs I visit. Hangs head in shame. And thus the book piles remain undiminished. 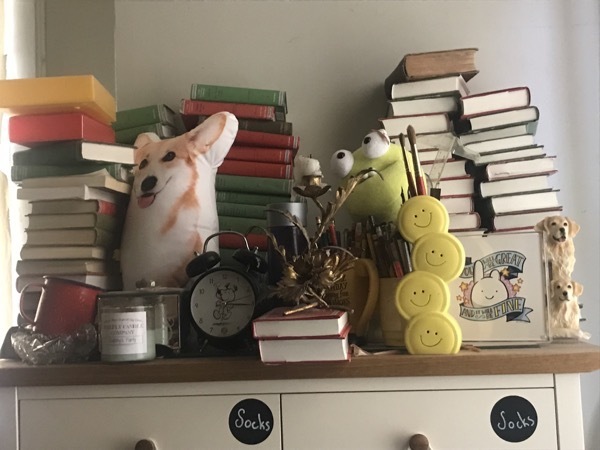 Marie Kondo would so not be impressed. Mixed in all these are library books that USC Libraries bloody well wants back. I’m afraid to go over there, lest a pit trap open up under my feet so they can capture the worst offender in their history. I THEN got the brilliant idea that if I was going to be buying books to hand out to the LFLs I was documenting, I would hand out copies of my colleagues’ books in a bit o’ shameless USC Price promotion. 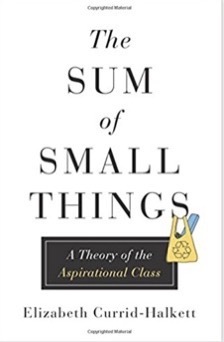 So I’ve been handing out this one, from my colleague Elizabeth Currid-Halkett: The Sum of Small Things. 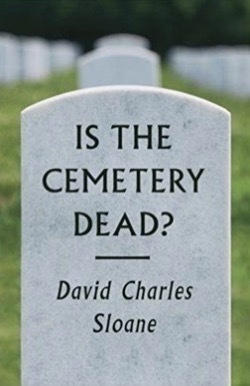 And this one, Is the Cemetery Dead, from my colleague David Sloane.